……………..Mega Fortune is the biggest online jackpot in the world, having paid out over £80 Million in jackpots since it first went live in late 2008 and is still going strong in 2014 with jackpot being paid out every couple of months! £45 Million has been paid out since January 2012, with the biggest ever single win amount being £14.9 Million that was won by a very happy Finnish gentleman on the 20th January 2013, making it a notable Guinness World Record for the largest ever online jackpot paid out, EVER! 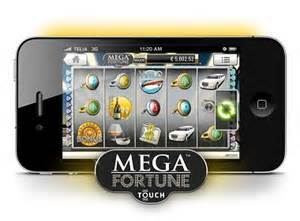 For a complete introduction and indepth look at the game Mega Fortune and the strategy for playing and winning the jackpot we recommend you visit Mega Fortune and Mega Fortune Dreams which is a fully comprehensive site dedicated to the game. Be quick while its still growing! You can win the World Record Jackpot, potentially today or tomorrow! 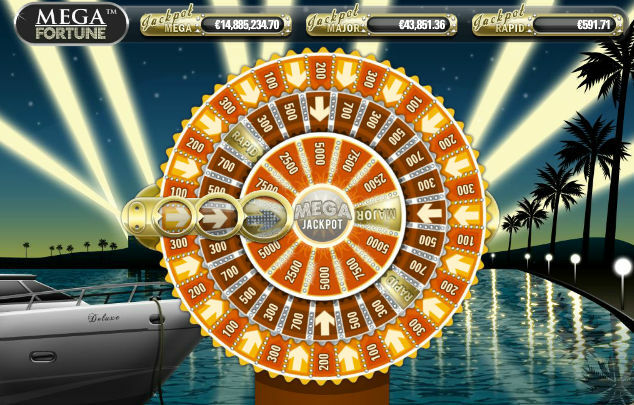 History of Mega Fortune jackpot wins! Mega Fortune is a progressive online jackpot and normally falls out anywhere between 4 and 12 millions Euros, making it a very interesting proposition given that you can win this lfe changing sum for a principal sum of on 1 Euro per spin. The logic of the Mega Fortune jackpot works such that once the game reaches its Expected Value, the probablity of a win increases, plus an additional weight applied to your bet. So, you can win the jackpot with a bet of 1 Euro, but have a fractionally better opportunity if you are betting 2 Euros per spin for example. The second largest win on Mega Fortune was won on Saturday 24th September 2011 in the early hours of the morning by a 20 year old student from the small town of Hordaland in Norway. This guy simply played some free spins, andthen hit the jackpot with his winnings from those, netting him a cool 11.7 M Euros! So, if you want your name in the Guiness Book of Records, and you fancy 14Million Euros plus change in your pocket, then we suggest you invest a few coins in this slot! If you want to learn about the Mega Fortune jackpot winner strategy then do so here!